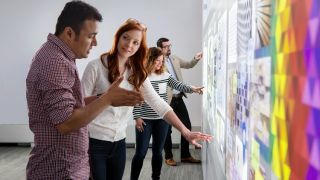 Nureva is one of four companies selected in its category and is recognized for the Span visual collaboration system, which takes the conventional tools of collaboration (whiteboards, sticky notes, images, and flip charts) and brings them into a shared digital working space. Each year, Aragon Research identifies vendors in multiple markets. It will host its annual awards ceremony in Silicon Valley in December 2017 to officially recognize the new and noteworthy vendors.